Termites are small, ant-like insects. However, they differ from ants in that they feed off the cellulose in wood. Their activities are largely unseen on the surface. They can tunnel through the wooden structural members in buildings and completely destroy them. Wood that comes in contact with the soil, such as the exterior trim or cladding on your home, provides a perfect point of entry for them. 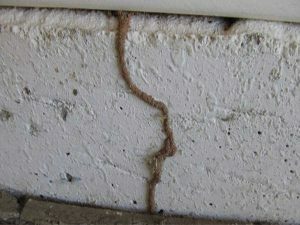 Subterranean is the most common type of termite found in Singapore. Unfortunately, they are also the most destructive. 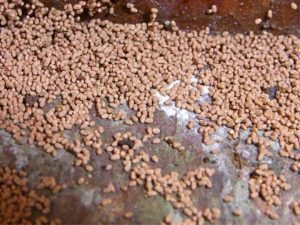 The two most common termite species of subterranean are the eastern subterranean, Reticulitermes flavipes, which can found in the United States, and the Asian subterranean, Coptotermes gestroi, which can be found in Southeast Asia. There are three main group in a subterranean termite caste and all the three groups differ in colour. Workers are of cream or milky colour. Soldiers are of the same body colour but with a brown head. The reproductive, the queen and king, are usually darker in colour than the rest of the colony. Just like in any well-run underground colony, every group has its own task and responsibility. Worker’s main job is to feed the colony as the soldiers, king and queen are unable to feed themselves. 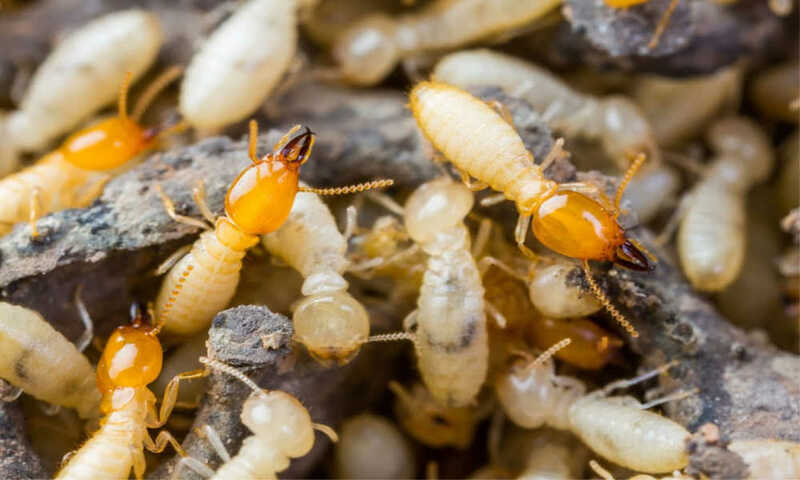 They rely solely on the worker termite foraging on cellulose found in wood, trees and paper products. They do not have eyes and move around using scents and moisture trails. Thus the reason why you would find mud trails/ mud tube when encountering them. The soldiers are tasked at protecting the colony from any pest intrusion which will mainly be ants or any other termites from another colony. They are equipped with large mandible to ensure that they are able to defend and fight off anything that might harm the colony. The soldiers also are able to discharge white toxic fluid while defending their colony. There is usually only one pair of primary reproductive which are the king and the queen. Their job is to grow the size of the colony. Another pair of reproductive, swarmers, will develop and leave the colony after about 3-5 years to start one on their own. Subterranean like to live in moist, dark and cool places. As mentioned above, apart from the king and queen, they are blind and move in mud shelter tubes or mud trails. They are often subtle and can go undetected during the initial infestation. Drywood from its name require less moisture to survive. They can be found in furniture, door, door frame or even kitchen cabinet. During their swarming season, termite swarms in, looking for a new nest. 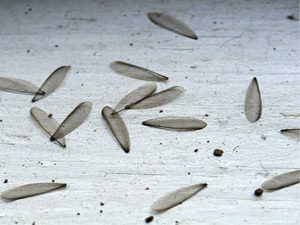 These flying termite will look for wooden area and will bore a small hole to penetrate the wood. 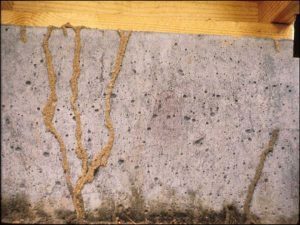 Although the termite damage is not as extreme compared to the subterranean, it is very difficult to eliminate them. 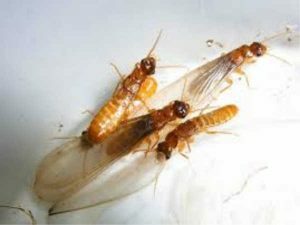 The drywood termite treatments, unfortunately, can only control the drywood termite infestation. The queen will lay the first eggs. These nymphs include both soldier and reproductive. They do not have a distinct worker caste. They will start feeding across the grain of the infested wood and form tunnel and chambers. The tunnel is used to push the faecal pellets out of their colony. Due to their nature of keeping the tunnel and chamber clean, you can always find their faecal pellets ( dropping) outside their colony. They are often mistaken for ants during the swarming season. Drywood wings are of the same size for all four while the ants are two on the same size. Dampwood only lives in wood. They do not need soil and from their name itself, you can understand that they need excessive moisture in the wood to live in. They will find woods or areas that might have any water intrusion to start a colony. Some of the areas that might be conducive for them are leaking roofs and woods that is touching the ground. Dampwood get inside these holes or cracks and start the infestation. Dampwood uses their faecal pellets to protect their colony from the air. A wet wood gives them more protection as the faecal pellets will tend to stick together to the side of their gallery. A wood that is dry will not allow this to happen as the faecal pellets will fall off. In a Dampwood colony, there are the reproductive (a king and a queen), soldier and alate (swarmers). They do not have any workers although immature termite will assume the roles of a worker. The reproductive (king and queen) copulation only in the nest and it will take up to a year before the queen lays its first egg. The number is normally small compared to the others. The soldiers, with large head and mandibles, protect the colony from any predators such as ants. The alate (swarmer) has reproductive function and are the only one with a pair of wings. During the mating season, the alate will fly out of their nest to form their own colony. Their mating season is usually during the wet season as this allow them to create a good living condition. The alate will shed their wings after they land on a suitable location and will start looking for a partner. It will take a few years for the colony to grow before new alate (swarmers) start looking for their new nest. Understand the signs and don’t take them lightly as the damages can cost you a bomb and might even compromise safety. Hiring a pest control company to do a regular termite inspection for your property.